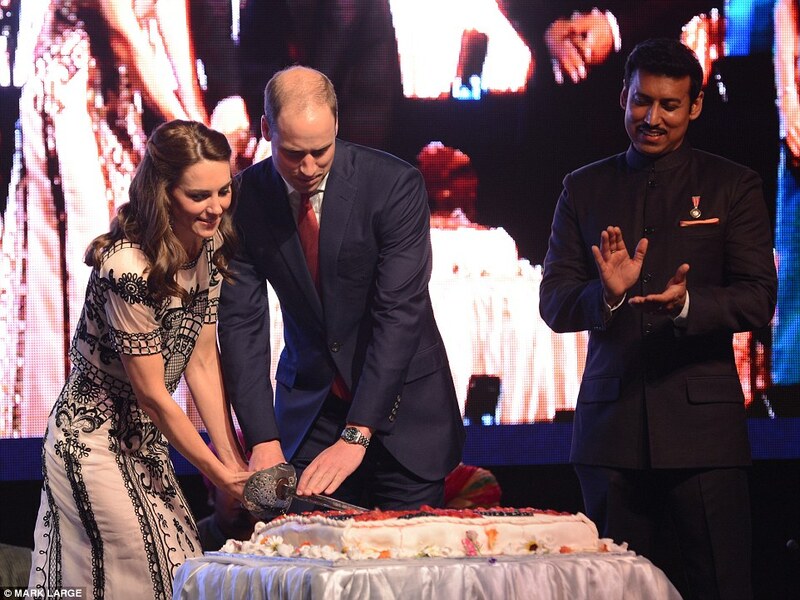 After their visit earlier to India's National War Memorial, the Duke and Duchess of Cambridge attended a garden party held in Delhi, in honour of the Queen's 90th birthday. For the occasion, Kate Middleton opted for a £3000 Alice Temperley full length white dress, which featured a somewhat Indian inspired embroidered pattern in black. The 34 year old mother of two had her hair elegantly curled into a half-up half-down style, and walked around the garden greeting guests with her husband Prince William, 33. Though garden parties are popular with the British, this was one very unlike, as the menu offered a mix of Indian delicacies along with party items popular in Britain. Guests were treated to Murg Malai Tikka, Aloo Sabutdana Ki Tikki and British counterparts apple Stilton Welsh Rarebits, mini beer battered fish and chips and thin crust cheese and tomato pizza, with a wide selection of G&T and whiskey. 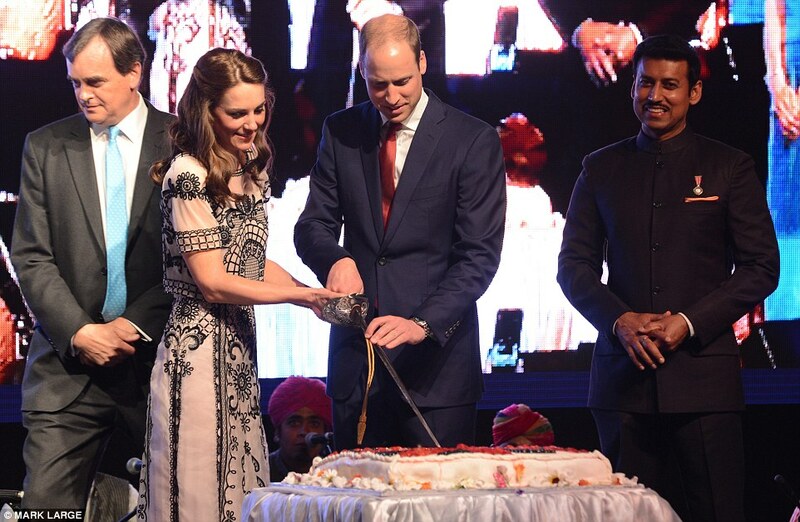 The Duke and Duchess seemed to be in high spirits and enjoyed a light moment when they were presented a three-foot sword to cut the huge cake decorated with berries in a Union Jack design. William, in his speech paid tribute to 'a wonderful great-grandmother for his children' and his 'boss', and enjoyed small talk with some of the 2000 guests present at the party. The Duchess radiated in her silk organza dress, perfect for a hot summer evening, and completed her style with a black clutch, black peep-toe heels and chandelier earrings.